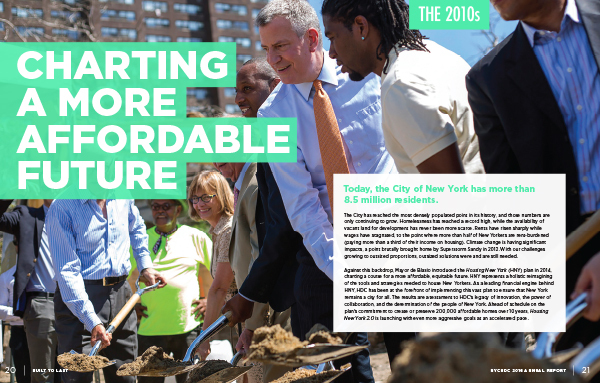 The HDC had become a kind of landmark itself, after 45 years of financing affordable housing in New York, and in the process rebuilding neighborhoods and lives. 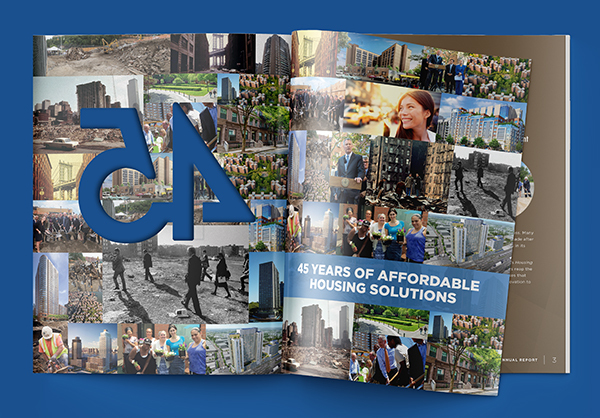 To celebrate the milestone, the agency wanted to take a different approach to its annual report; rather than the digital, interactive annuals we had designed for several years, they were looking for something that would stand the test of time. Honoring a legacy through design. 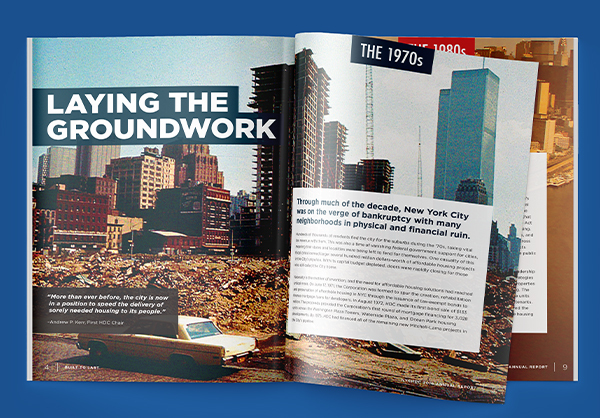 The anniversary book, like HDC itself and the city it serves, was “Built to Last”—both substantial to hold and memorable to read. Its matte black cover and saturated photography lent visual weight, while the content was laid out architecturally, each decade given its own livable (and legible) space. 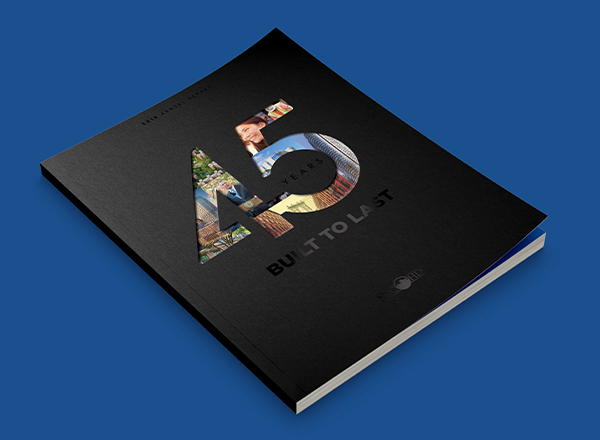 Printed and sent to every stakeholder, it was an achievement, a celebration and a solid foundation for their next 45 years.